This is another one for all the producers out there! Following my previous interviews with software companies like Image-Line and Ohm Force, I decided to change course slightly, and focus on another important aspect of today’s electronic music production: samples and loops. I thought it a good idea to have a talk with one of the main men at the world’s most popular online sample shop: Loopmasters! Matt Pelling is the co-founder and Director of Loopmasters, and as his store continues to put out quality material for producers all over the world, I took the opportunity to ask him some questions on his work, and Loopmaster’s success. Hi Matt! Thanks for talking to me about your work and store. How did Loopmasters come about? Can you tell me a bit about it’s history, and yours too, as one of the original members? Was it always intended to be an online sample shop? 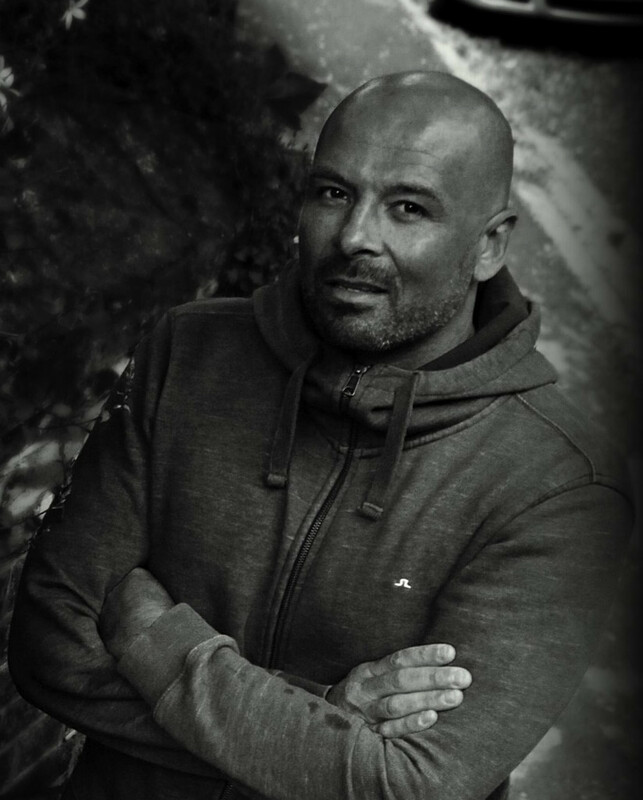 I have always loved music, and was originally a drummer – I moved away from my band and friends to be with my girlfriend at the time, and started experimenting with sampling, which led me to get a job with Time and Space, who were then the biggest UK distributor of sample CDs. Loopmasters succeeded Beatnik Samples, a small label that I set up as early as 1998, which featured the USP of having single hits, loops, and midi-files, enabling users to easily swap the sounds from one pattern with another – this is before time stretching was widely available and REX files, etc. The online side of things really came about through practicality. I always thought that producers wanted the sounds there and then, at 3am or whenever they wanted, and they should not need to wait a week for a CD to arrive. So it seemed natural to me, and we were one of the first companies to deal online, and the first to stop making CDs. Can you tell me a bit about what you specifically do at Loopmasters as the Director? What does your daily workday look like? These days, my job revolves around speaking to my contacts in the industry, arranging contracts for new projects and discussing deals, and looking for opportunities for us within new markets such as smartphones, iPads etc. I am also working directly with all of the staff in the business, testing and working on new product lines, checking new website upgrades and generally trying to keep us pointing in the right direction as a company. Some days I do better than others like the rest of us! Out of all the many considerations that you need to make as Director, what’s the most important thing to keep in mind when running a sample store like Loopmasters? The most important thing is to keep your customers in mind. We all have fancy ideas from time to time, but does it really serve the customer better? Luckily, as producers ourselves, we are in tune with our customers and it’s about giving them what they want – inspiring sounds to improve their music and to make it easy to find, download and enjoy this process. I think if we lose sight of the customer, then we’re alienating ourselves from them, and this, in my opinion, is the biggest mistake that you can make. When Loopmasters was created, were there a lot of other similar online stores for sample packs, or did you guys have the advantage of a new market to cater to? When we started it was about CDs, DVDs, worldwide distribution partners, and music stores. It wasn’t about the direct relationships that we now have with our customers. There has always been competition in the market, and there have been different times that had unique challenges for us. The best thing about the “old days” was that you really needed to put your money where your mouth was – if a product failed or had errors on it, it would cost you thousands of pounds in lost revenue, and reputation that you could ill afford. Nowadays you can just re-upload a file. 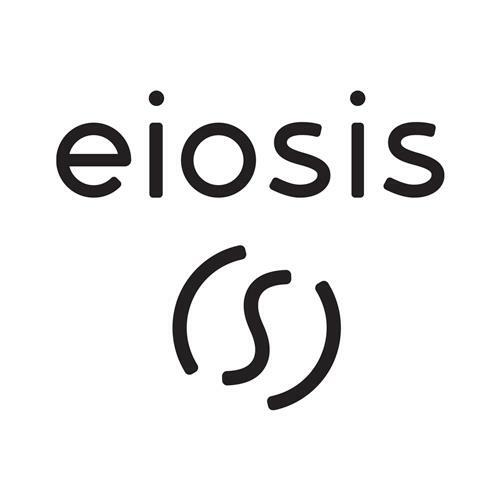 However, we are glad that we were part of this earlier sample market as it instilled these values which meant that we had to be proud of everything we release, and we have tried to apply these ideals in our distribution model and approach to our website and customer relationships. What was initial reaction when Loopmasters started out? Was it a service that most people appreciated as fulfilling a necessary role, or did you have to struggle against any skepticism from producers? Was there indifference towards you, perhaps? To be honest, we were so focused at the time on our upcoming projects and making the most of them that we didn’t pay that much attention to the reaction. We knew it was going to take time to get the customers to know and trust what we did. Every release for us was a test and a point at which we could fail. Looking back, I think we did a good job, and these early releases set the bar for where we would end up. Producers are always skeptical – but that’s ok – this is what sets standards, even if music is very open to interpretation. Did you have any special focus on a specific genre when you started out? If so, how did that change with time? We started with a series we called the “Origin Series”, and we still sell most of them today. It covered many genres, but each release would have a specific theme. Over time, we have tried to move with the times, but only creating sample libraries in certain new genres if we really felt we had something special to offer, rather than just trying to “tick the box”. A good example of this was Trance, which we didn’t have any good contacts for. We decided to wait, and we continue with that philosophy today – don’t do it unless you do it well. What was the biggest challenge Loopmasters had in spreading word about itself as being a credible hub for quality sample content? There have been many challenges over the years, but we were lucky that we grew through a big technology change, and we embraced it rather than fighting it. We stayed true to what we knew when everyone was making huge 60Gb sample “Romplers” and gained market share. We invested in our website and design heavily, and decided that we made good sounds, and made them available in a variety of formats. We didn’t try to tell producers how to use the sounds, or in which technology they must invest. This was a strength, but also a challenge, not to follow the herd. Piracy is always a challenge for us, but there is not that much we can do other than hope producers realize that in order to be able to continue legally use the sounds they get from us, and to ensure that they remain available to them in the future, they should pay the reasonable charge that we ask. I think over time, it does work. 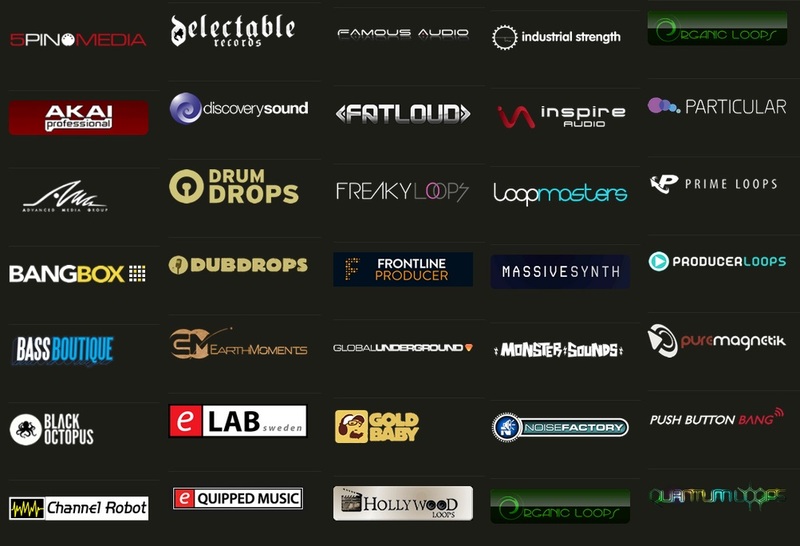 Was the fact that Loopmasters would become the leader in online destinations for premium sample content something that you guys predicted in the beginning? Were there experiences that either made you think that this would or would not happen? Its easy to look back and say that everything was planned out from the start, and our plan came together perfectly, but life doesn’t tend to work out like that. Paul Willard (Loopmaster’s Product Manager) and myself started the company and I had some experience of marketing and the sample market, as well as a stubborn attitude and a passion. Paul had great studio skills and shared my desire to succed. Really, we just decided on what we wanted to do, and agreed to put everything into it, and to be proud of what we did, even if we failed. That sounded simple, but was the basis for our company, and over time we made a few key decisions which has helped us to get where we are today. Essentially, we have embraced the great and talented contacts we have met over the years, treated everyone well, and are now lucky to have a huge pool of friends and colleagues that we have worked well with over the years. This makes things easier for us when we take new turns and directions. Treat the customer well, those that work with you and do your best – it gets you a long way in business. 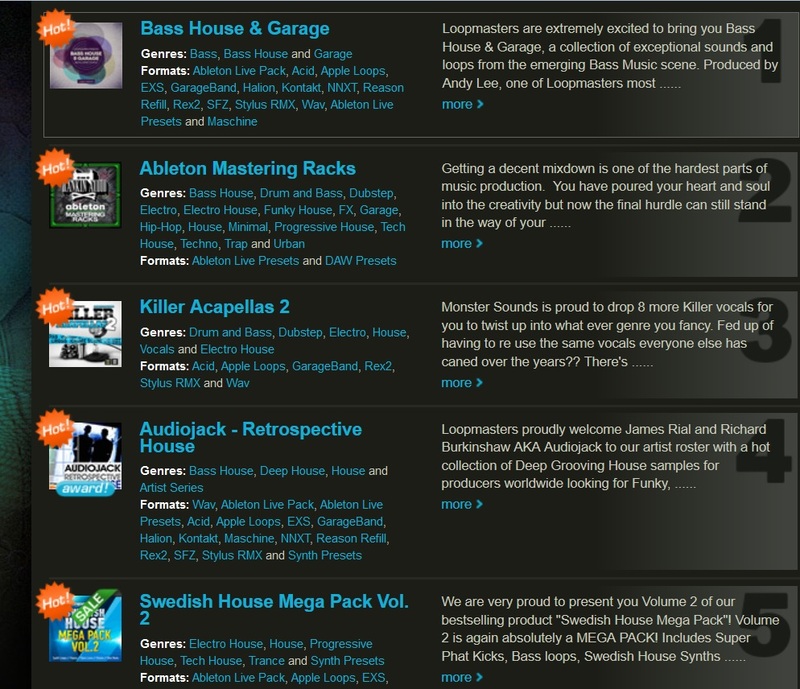 How did Loopmasters end up with all these labels, like Freaky Loops and Push Button Bang? Did you reach out to these companies, or did they come looking for you guys, in an attempt to get on board one of the more popular sample marketplaces? This was something that happened over time. We have various producers working with us, who wanted to create their own label, and so rather that go into competition, we worked with them and built a new relationship and sometimes even helped to invest in them and give them the resources that they needed. This gives us a broader spectrum of content in our library and stops our catalog from getting stale. 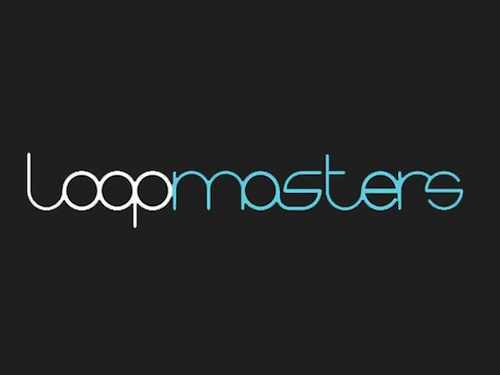 Even some of our competitors started out working for Loopmasters at first – Prime Loops and Sample Magic are two such examples. After a while, other labels also came along and we are very lucky to represent what we consider to be the finest sample labels on the planet from our store. Can you tell me a bit about the process that sample-pack creators have to go through to get their products on Loopmasters? Is it an easy process? The process is really quite simple: send your very best demo to studio@loopmasters.com (Paul), and give him some time to check it out. Whether you are a famous artist or a relative nobody, we will treat your demo the same. If we feel we can make something of it, then Paul will be in touch to discuss his ideas with you – then you can finish the pack to our specifications. We do all the format conversions to ensure a smooth expectation from the customer – and we pay a royalty or a buyout fee. Are their unavoidable criteria that sample pack creators have to fulfill for their packs to be accepted for sale on Loopmasters? Yes the sounds must be inspirational, and copyright free. I’ve noticed that a lot of packs tend to go on some kind of sale after some time. What’s the deciding factor for that? Do all packs eventually go on sale? There is no specific formula for this that I can explain – there probably should be! With your ever-expanding list of packs, how long can a pack remain on sale before it has to be taken down? It depends on the content. A Jazz pack could sell forever, whereas a Fidget House pack may last 2 years. If there is a good reason to keep it, then we will. Otherwise, it’s taking up space and confusing the customer. I’ve seen a lot of packs carry labels like “Hot” and “Awards”. What makes a pack “hot”, and who is it that gives out these “awards”? Awards come from magazine reviews such as Future Music, Music Tech Mag, Computer Music, etc, or from one of our VIPs, that gives it a 10/10 rating. “Hot” means that it has sold over a certain amount in the last 30 days. The website manages all of this. 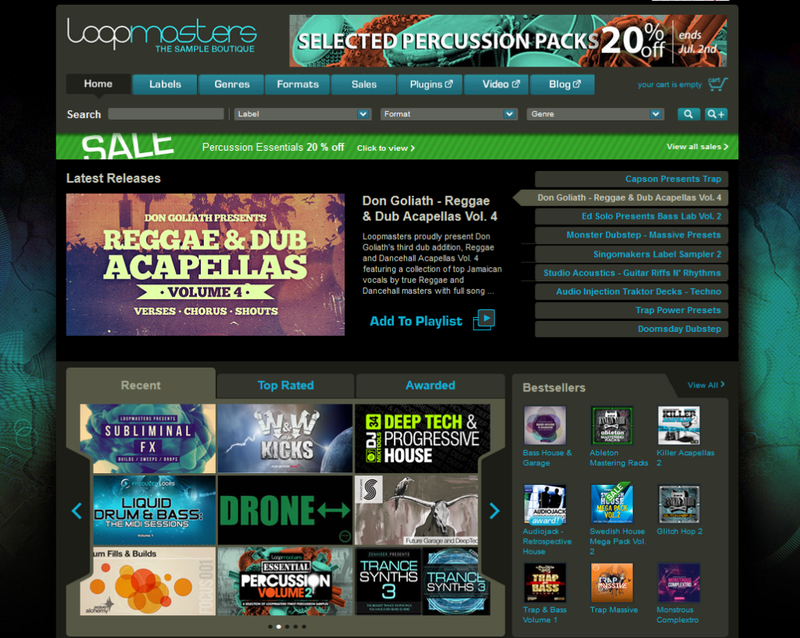 Do you know what the most sold and most popular sample pack on Loopmasters? Possibly the Deadmau5 Xfer sample pack. But there are others that are very similar. Our first big seller was “Funky House Producer” in around 1995. What kind of sales numbers would you say make a sample pack commercially successful? Is it possible for sample packs to sell in the thousands or hundreds of thousands? I wish we could sell the packs in the hundreds of thousands. I would be driving a different car, that’s for sure, and would be sending this to you from my yacht. Unfortunately we don’t sell that many, but you may look at a few thousand for a very successful release. Tell me about LoopTV. Where did that concept come from, and who spearheaded it? LoopTV came from an idea we had to provide more for our customer than just loops. We wanted to provide information and techniques, tutorials and interviews. We thought it would be good for the customer, and also good for our branding. Unfortunately, our initial ideas of creating all the content ourselves was very expensive and the branding seemed to get a little lost on the customers. Over time, we have done more syndication to bring the costs down, and we still see it as a very useful part of what we do. This is a classic example of it becoming more customer-driven over time, as we realized that perhaps initially we created it for our own reasons rather than an inherent demand. What kind of partnership does Loopmasters have with Plugin Boutique? The 2 of you seem quite chummy. 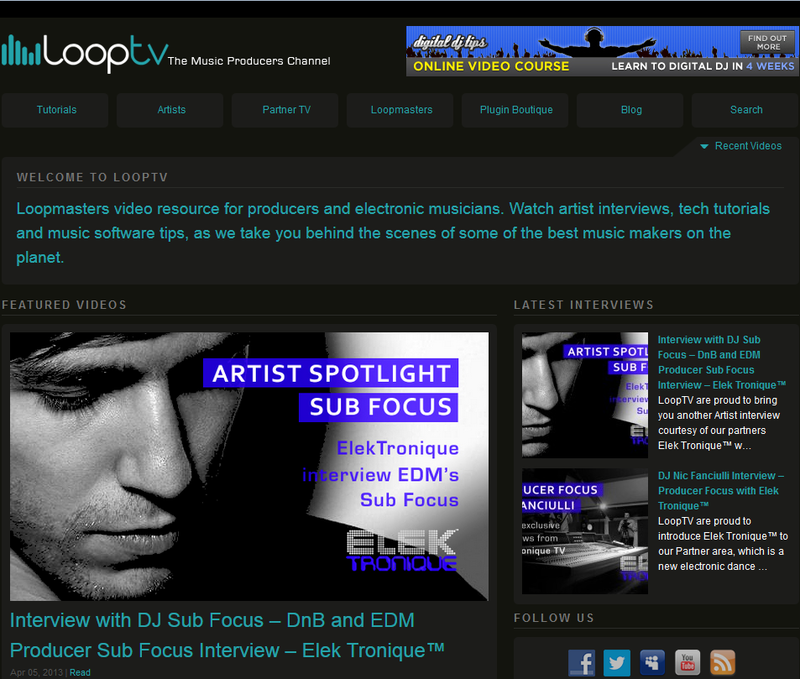 But I haven’t really seen Loopmasters promote a lot of other websites. What’s so special about that one? 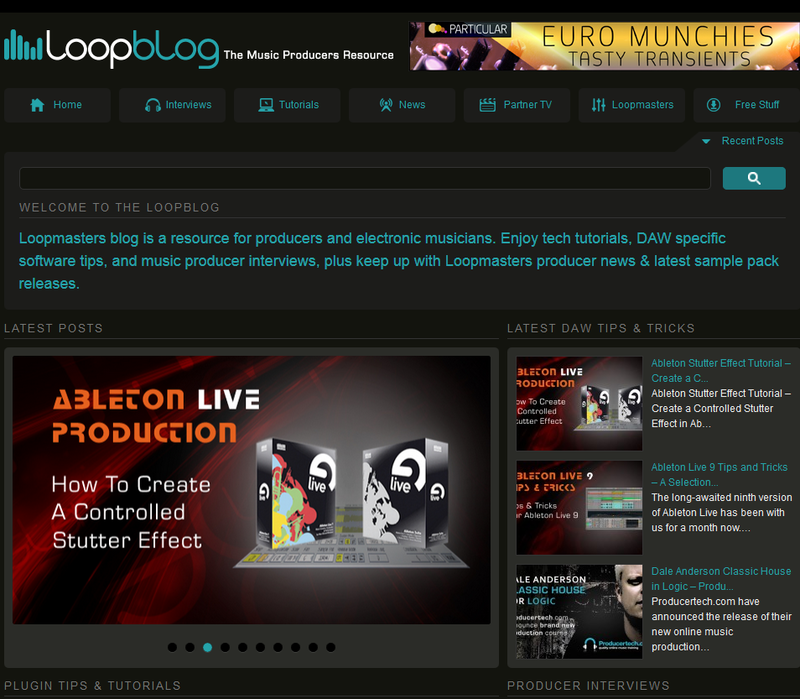 What is so special about pluginboutique.com is that we own it, and its our new baby. We are very busy building this new online marketplace for software and instruments, and also feel there is a real need for it, so that customers can try plugins, get free ones, update and look at reviews, etc, all in one place. As with most things, it’s not as easy as it seems to get running, and we’ve been learning a lot on this journey, but we’re very happy with it, and visitors are rising nicely every month. 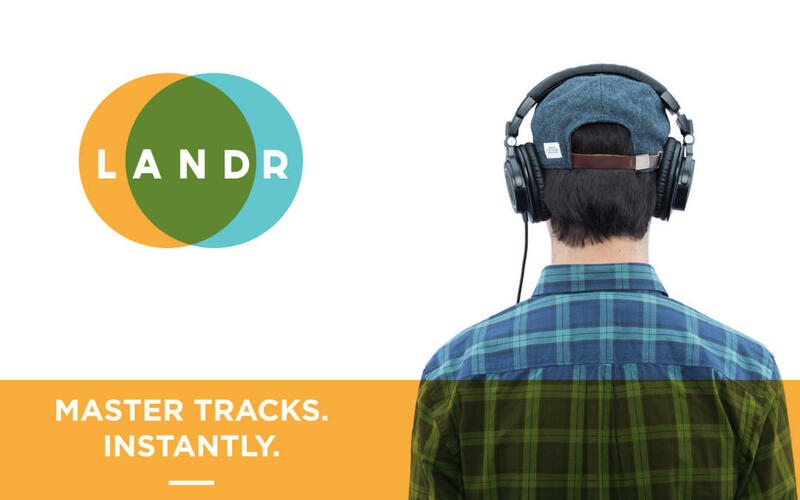 Our aim is to make this the number one marketplace for music software. We still have a journey ahead of us, but the manufacturers are all starting to see the value in what we can offer as distribution partners, and as a place where musicians come to check out plugins and software. Do you ever worry about Loopmasters ever disappearing, for whatever reason. Dance music losing mainstream appeal, producers turning away from using loops, etc? What will happen will happen, regardless of our influence, so we will just keep doing our best to provide the best sounds and inspiration, and hope that there are always producers out there that are happy with what we offer and are happy to spend a few pennies with us. Any notable plans for Loopmaster’s future? Changes to the website or addition of new features? 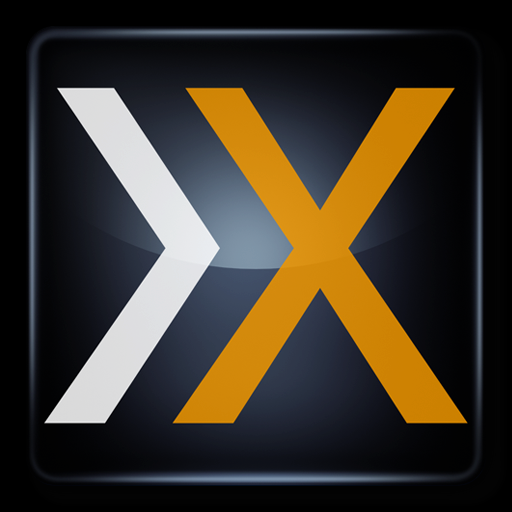 We are building a major update to the site right now that I am very excited about. I think it will help us to showcase our products much better, on a wider variety of platforms, faster, and with the ability to find what you want in an easier way. A better player, selling courses, and possibly a subscription service are a few of the things that we have planned, along with Loopblog and Looptv integrated into the site, and other useful tools that we can’t yet mention!